Dynamic, or temporal, texture is a spatially repetitive, time-varying visual pattern that forms an image sequence with a certain temporal stationarity. Important tasks are thus the detection, segmentation and perceptual characterization of Dynamic Texture (DT). Following recent work, color image decomposition appears as a good way to reach these different aims, however, to our best knowledge, no proposed model is currently able to deal with temporal aspect, inherent to color image sequences. 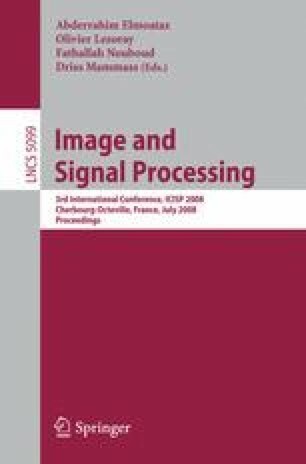 The major contribution of this paper is to adapt static decomposition model to time aspect in order to deal with videos and color image sequences. In this paper we propose an extended decomposition model which splits a video into two components, a first one containing geometrical information, the structure of the sequence and a second one dynamic color texture and noise. Examples for color video decomposition and characterization of real dynamic present in texture component will be presented.